Beyond the Book Review:Not A Fan:Narrow or Broad? I saw this on Facebook and it reminded me of why I am doing such an in-depth study on Not A Fan by Kyle Idleman. You see, many of us think we are followers of Jesus Christ, when in reality, we may be only fans, believers at the most. I know the heart of the person who posted this picture. I know this person did so with good intentions and that this person does indeed love the Lord. 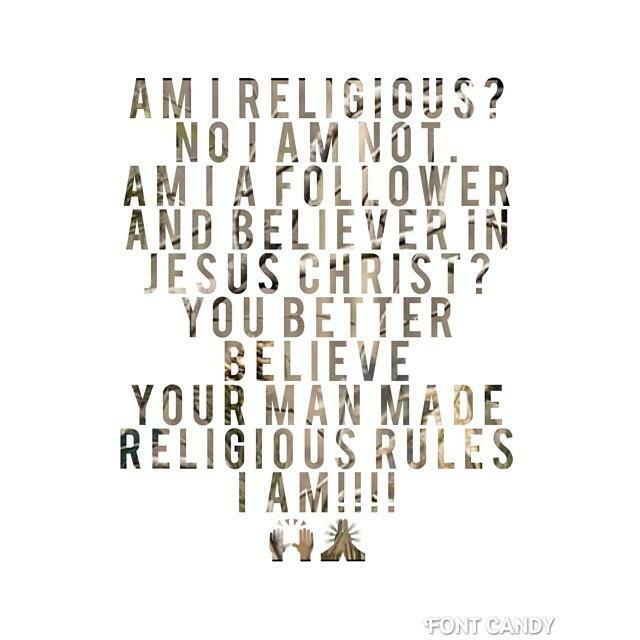 But, what this person posted the rest of the day did not reflect his or her belief in Jesus Christ let alone prove that he or she was indeed a follower of Jesus Christ. I’m not judging. I have been guilty of this more times than I care to admit. My actions, my words, don’t always reflect my beliefs, don’t always reflect my savior. Yes, there is room for grace. Wed don’t have to be perfect, but when we notice mistakes or mess ups it is important to pay attention and make steps to rectify our mistakes. After all, it is a slippery slope and without correction we can find ourselves way off course. Yes, once again, I am talking obedience. I sound like a broken record to some, huh? Some of you probably just stopped reading. Who wants to talk obedience on a Friday? Well, for those of you still hanging in there, I hope to make it worth your time. In Chapter 7 of Not a Fan, Kyle prompts us to take a look at our lives. Where are we in our walk with the Lord? Are we on the right road? How can we tell? Matthew 7:13-14: 13 “Enter by the narrow gate; for wide is the gate and broad is the way that leads to destruction, and there are many who go in by it. 14 Because[a] narrow is the gate and difficult is the way which leads to life, and there are few who find it. Now while I believe the prayer of salvation/asking Jesus Christ to be the Lord of our lives is really all it takes to have eternal life due to God’s grace, I also think you have to mean it. It cannot be just some prayer that you repeat and you’re good to go. No, you have to mean it and, if you really mean it, there will be evidence of your belief. Now, for some of us, the evidence is slower to appear as we all grow at different rates, but there is some change going on: a change of heart, small changes in actions, changes in beliefs, changes in friends, etc. It is clear to me that there will be many Christians shocked to find out that they are indeed not Christians, Christ-followers, after all. Sadly, it will come at a time when it will be too late. Did you catch that? I said MANY. Many people think they are on the narrow road, but those “many people” will find out on Judgment Day that they are on the broad road. The broad road leads to Hell. Many who call themselves followers; many who call themselves believers; many who do indeed love Jesus (or at least the thought of him) are on the road to Hell! Could that be you? Could that be your children? Your Mom? Your Dad? Your siblings? This next Sunday, look at those you are sitting around or conversing with. The odds are that at least one of those people are on the broad road to Hell. Did that wake you up? Did that stir your heart? As I stated before, we are saved by God’s grace when we take Jesus as our Lord and Savior, when we believe in Jesus Christ as our Lord and Savior. But, is our belief only something we confess with our mouths or is it something we are supposed to confess with our lives? Kind of deep for a Friday, huh? Did you get that: Belief is more than what we say! James 2:14-17: What good is it, my brothers and sisters, if someone claims to have faith but has no deeds? Can such faith save them? 15 Suppose a brother or a sister is without clothes and daily food. 16 If one of you says to them, “Go in peace; keep warm and well fed,” but does nothing about their physical needs, what good is it? 17 In the same way, faith by itself, if it is not accompanied by action, is dead. Kyle goes on to give an example of a house-sitting situation. If an owner leaves a detailed notebook with clear instructions for taking care of the house and pets, the homeowner is going to have certain expectations upon his or her return. Imagine how the homeowner would feel to come home and only a few things in the notebook have been done. Wait, the house sitter will try to explain that he or she did read the notebook. In fact, he or she memorized certain sections and read it every night before bed. Are the homeowners still going to be upset? Are they going to keep the house sitter under their employment? No way! We’ve all seen those heart-wrenching commercials for starving children in Africa and around the world. I am sure they have stirred your hearts. We’ve all felt something for these kids. We may have believed these children needed help, but did we do something about it? Did we pick up the phone or jump on our computer to give money? No? Well, then, we may have felt something, but we did nothing, so did we really have any belief? Remember James 2:17:Faith without action is dead. Now, we have to be careful. Just as our words alone don’t accurately reflect which road we are on, our actions or works ALONE don’t either. As Matthew 7 showed, the “Many” on Judgment day will defend themselves with their actions (we prophesied, we cast out demons). Their confidence was in their works. How do you know if your confidence is in your works? Well, when asked if you are a fan or follower, where does your mind go? Does it go to all the good deeds you’ve done? Do you immediately look to what you have done? If yes, then you are likely looking at your works to determine if you are a fan or follower. So if we can’t look at our words and actions ALONE, then what do we look at to determine if we are on the right road? Let’s go back to Matthew 7. It seems to me (and Kyle) that it comes down to a personal relationship with Jesus Christ. Do you know Jesus and does Jesus know you. So, then our words and actions don’t matter in the long run after all then, right? What we say and what we do are clear indicators of where our relationship with Jesus Christ really is. They are indeed strong indicators of which road we are really on. “I believe what the Bible teaches about salvation. I believe that we are saved by the grace of God through faith in Jesus Christ (Eph.2:8). I believe it is God alone who is able to keep us from falling (Jude 1;24). I believe that nothing can separate us from the love of God (Rom. 8:38-39). But I also believe the Bible clearly teaches that there will be those who think they are saved but who are not. They will live out lives with a false assurance of salvation. They will think themselves as followers, but a day will come when they’ll be pronounced as nothing more than fans. (P. 109). I say this so that we can be aware. We can do a self-examination to see that we are indeed on the narrow road. We can take a look at those around us and help any who seemed to have taken a wrong turn. We can be encouraged to speak the Gospel because just like heaven is real, so is hell. Next Next post: Are You Satisfied?